Kevin Hart is set to receive an award for his acting skills and box office charting films at CinemaCon's upcoming ceremony. The 39-year-old actor has an impressive resume of films he's both starred in and produced which such titles like Night School, Ride Along, Jumanji: Welcome To The Jungle, Central Intelligence, Think Like A Man and lots more. 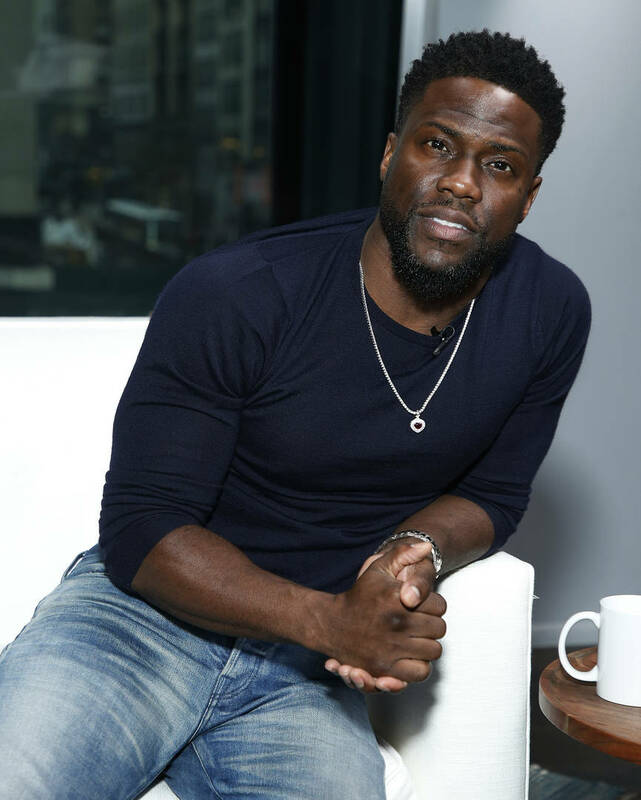 “With his films continuously earning the top spot at the box office, Kevin Hart has brought some of the most entertaining comedic films to audiences around the world and continues to prove that he is one of the most dynamic and agile actors today,” Mitch Neuhauser, managing director of CinemaCon said. As we know, Kevin recently dealt with some controversy when he was set to host the Oscars but then got dropped after old tweets surfaced of him using homophobic language. "The way that I handled it in the beginning was never from a place where I'm being negative or angry or playing victim. It was, 'Hey, guys, I apologised about this. I talked about this years ago and I said I'll never do it again.' To me, that was the apology. The apology was never doing it again," Kevin explained, detailing how he had already averted the crisis before they came to light again. "So I didn't understand why that wasn't good [enough]. Why isn't the 10-year change of a guy never talking like this, never doing it again through stand-up or jokes, being noticed? I thought the best way to say sorry is by changing, whereas some people still wanted to just hear me say it again. And that's where I think the miscommunication or the disconnect came from."